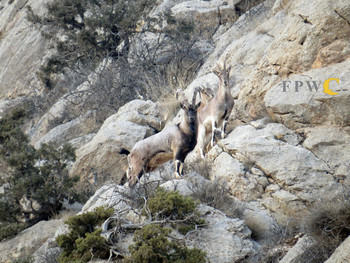 Recent field reports suggest that numbers of Bezoar Goats are increasing in the Caucasus Wildlife Refuge, as a result of site protection measures. Thanks in part to the work of wardens funded by World Land Trust (WLT), the Caucasus Wildlife Refuge (CWR) in Armenia has become a safe haven for wildlife. Despite the fact that Bezoar Goats are still hunted illegally in the Caucasus region, rangers report that herds numbering up to 30 goats are now regularly seen inside the reserve. Patrols and other security measures are proving effective. In February, keepers at the reserve who are on duty 24 hours a day spotted the lights of night hunters on the Dahnak Mountain. Following a concerted effort with staff from the neighbouring Khosrov Forest State Reserve, two poachers were arrested and their guns confiscated. Alongside this positive news is a reminder that there is still much to be done. Rangers were saddened to find a dead lynx in an area adjacent to the CWR project area, near the ranger station at Dahnak Mountain. An examination of the body indicated that the animal had not been shot, but caught in a trap from which it had tried to escape. On another occasion a mature male Bezoar goat, suffering from a gunshot wound, was seen entering the Caucasus Wildlife Refuge from the Khosrov reserve. Because of their magnificent horns, male Bezoar Goats are prized among trophy hunters. Since 2010, World Land Trust (WLT) has been working with Armenian conservation organisation, Foundation for the Preservation of Wildlife and Cultural Assets (FPWC), which manages the Caucasus Wildlife Refuge. Bezoar Goats are preyed upon by the endangered Caucasian Leopard, which is known to be present in the Caucasus Wildlife Refuge. Healthy populations of Bezoar Goats are therefore vital for the survival of the Caucasian Leopard in the wild. Another of WLT’s partners, IUCN Netherlands is also supporting FPWC’s conservation efforts. Both WLT and IUCN-NL provided funds to help set up the Caucasus Wildlife Refuge. WLT continues to fund wardens in the refuge through the Keepers of the Wild programme. 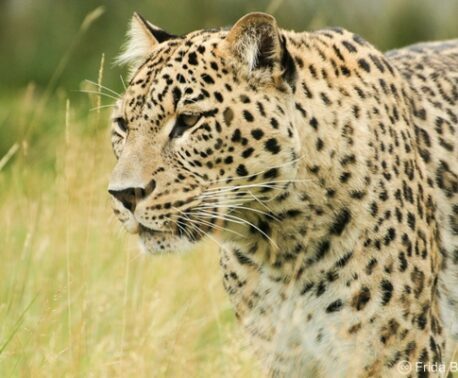 In September 2012, WLT launched the Caucasian Leopard Special Appeal to raise further funds. So far, funds from the special appeal have been used to extend the area under protection and to supply camera-traps and other equipment to aid the rangers in their work. FPWC is also creating a Leopard Project database. 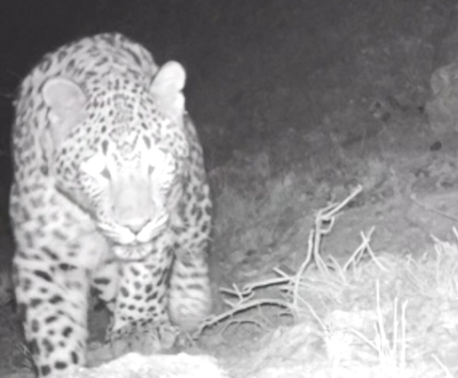 Data forms have been designed to collect information about leopard sightings in rural areas of Armenia. Data collection is under way.